Christmas? no. Easter? nope. 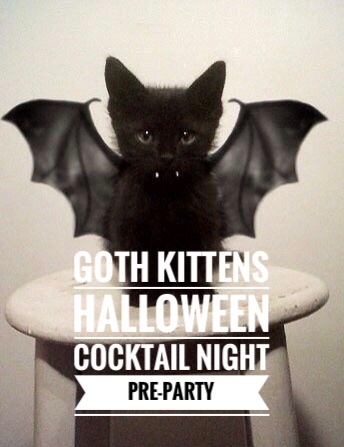 Halloween? Yes please! 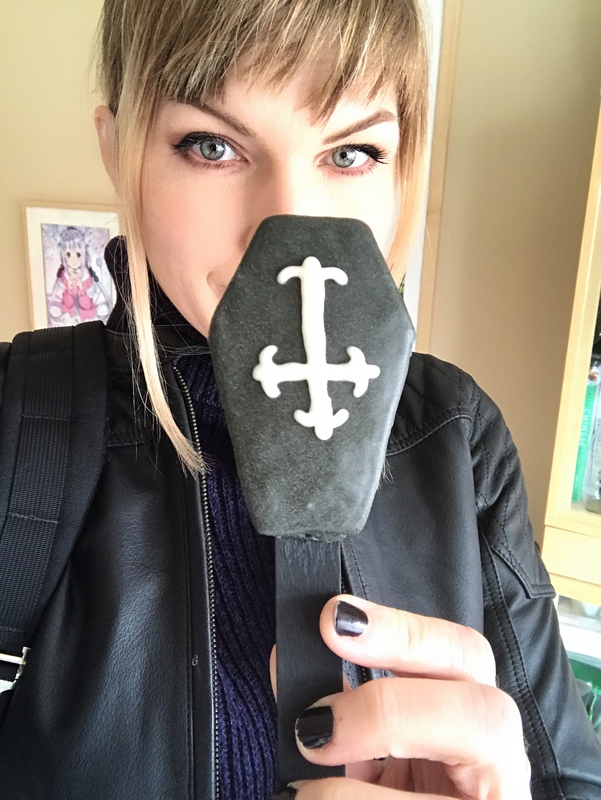 I like Halloween so much that I celebrate it as frequently as possible by dressing up on any potential appropriate (or sometimes inappropriate) occasion, eating sweets every day, dying my hair fun colors, and throwing goth tea parties often. Oh, and I also celebrate Friday the 13th, because it’s Halloweenish. 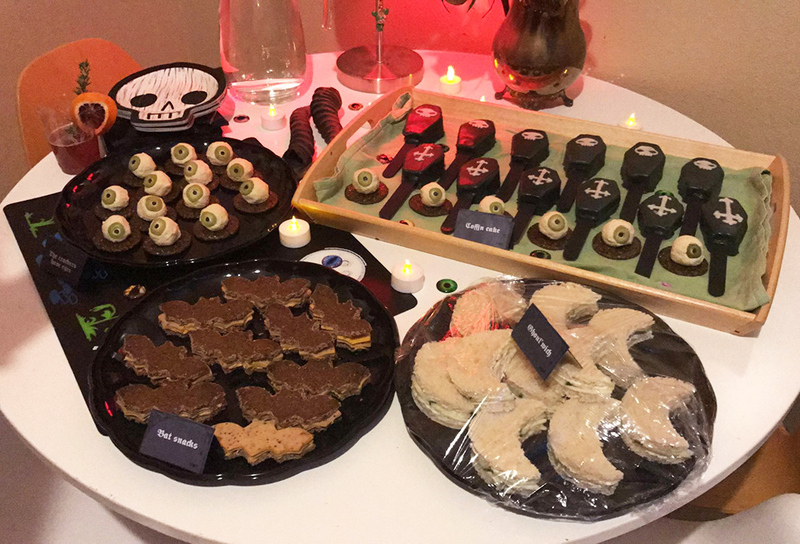 So, when Jessica hinted at the possibility of having a Halloween cocktail party, I (OF COURSE) signed up to be in charge of the horror d’oeuvres menu. But before we talk about the food, let’s talk about costumes. 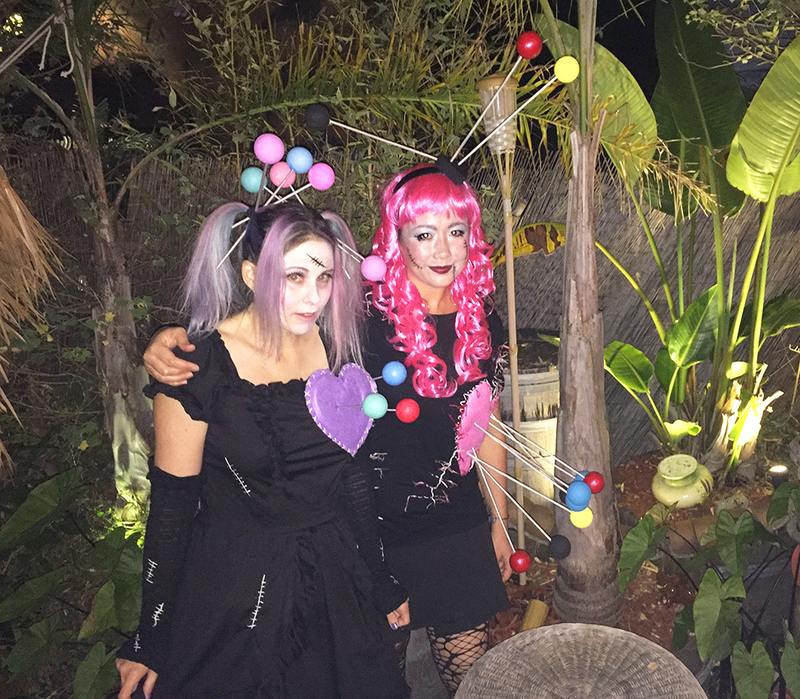 Mia was the mastermind who thought of the idea of being voodoo dolls. 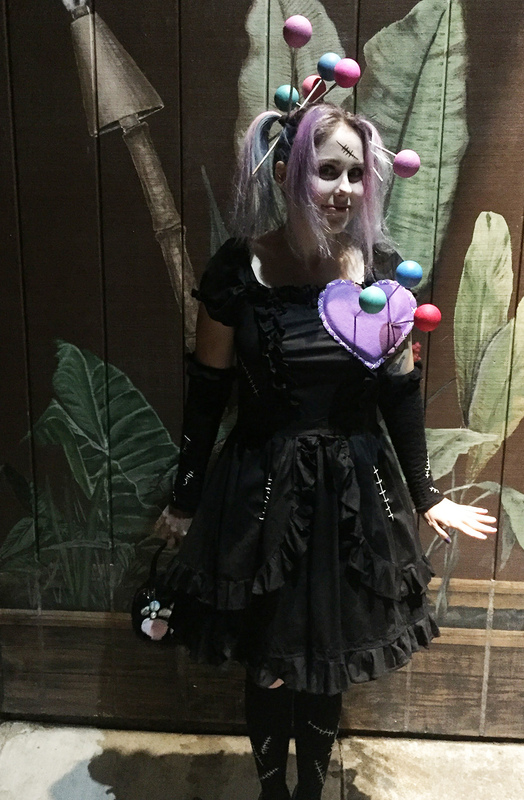 So, I altered a dress I had in my closet and only had to make the pins and the heart. I didn’t get a decent picture in daylight, but here are some of me and Mia at a tiki bar in Alameda called Forbidden Island. If you ever want to dress as a voodoo doll and want to borrow this costume, it’s sad and lonely hanging out in my hall closet. Just send me an email, and I’m sure the costume would love to come out and play again. Jessica had requested eyeball cake pops, and while eyeball cake pops would’ve been cute as hell, I can’t help but remember the time I stayed at Josipa’s house until like 3am making cake pops one year. Never again. 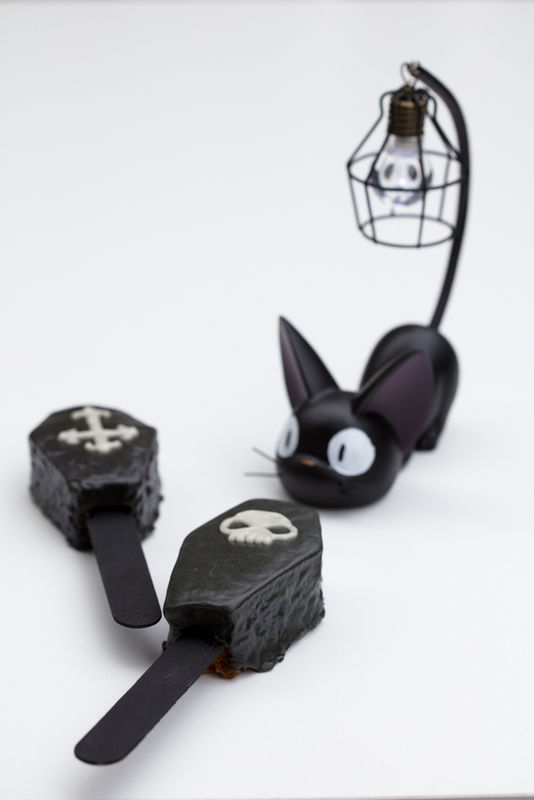 So, I convinced Jessica that coffin cake wands were the way to go. I wanted them to be chocolate because I’m an addict, but Jessica requested pumpkin cake, so I made this recipe 3 times the week of Halloween until I got the recipe perfect. Here’s a picture of Jessica holding her coffin. 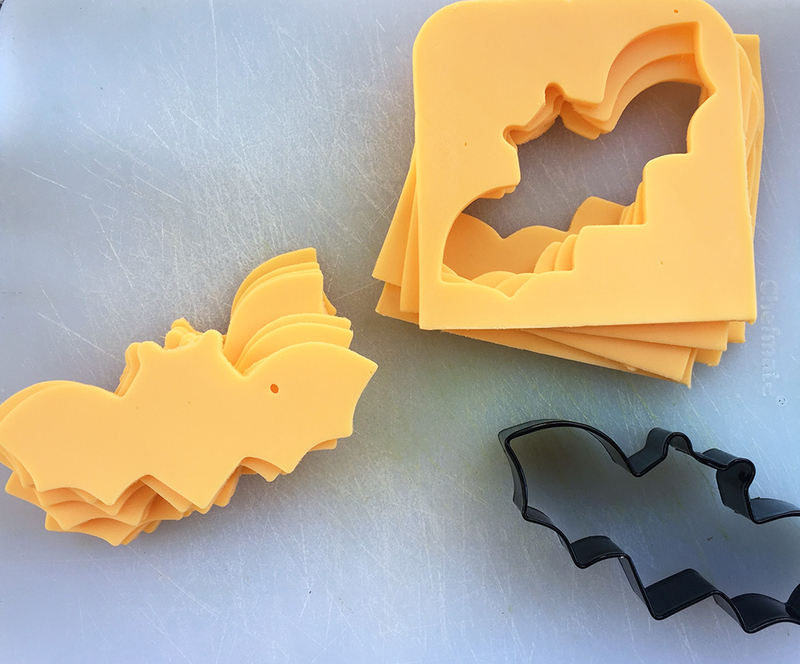 To see videos of how we made these, check out the recipe page. 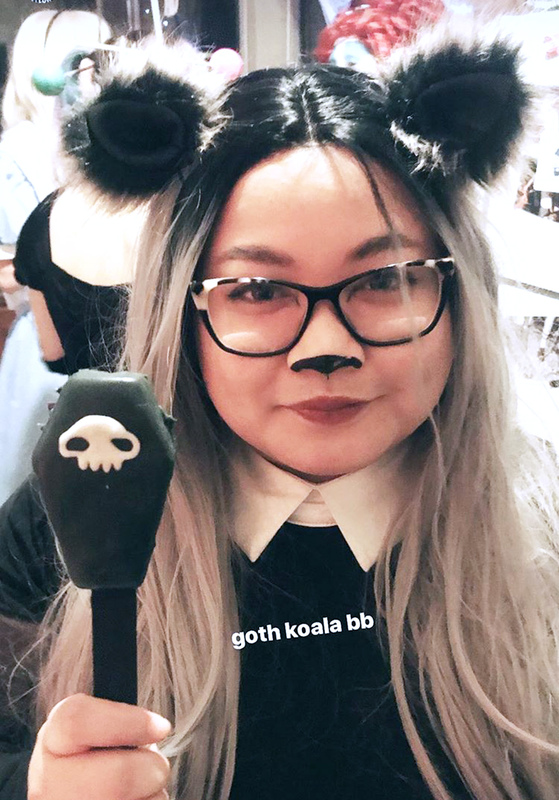 And here’s Edna, the koala. 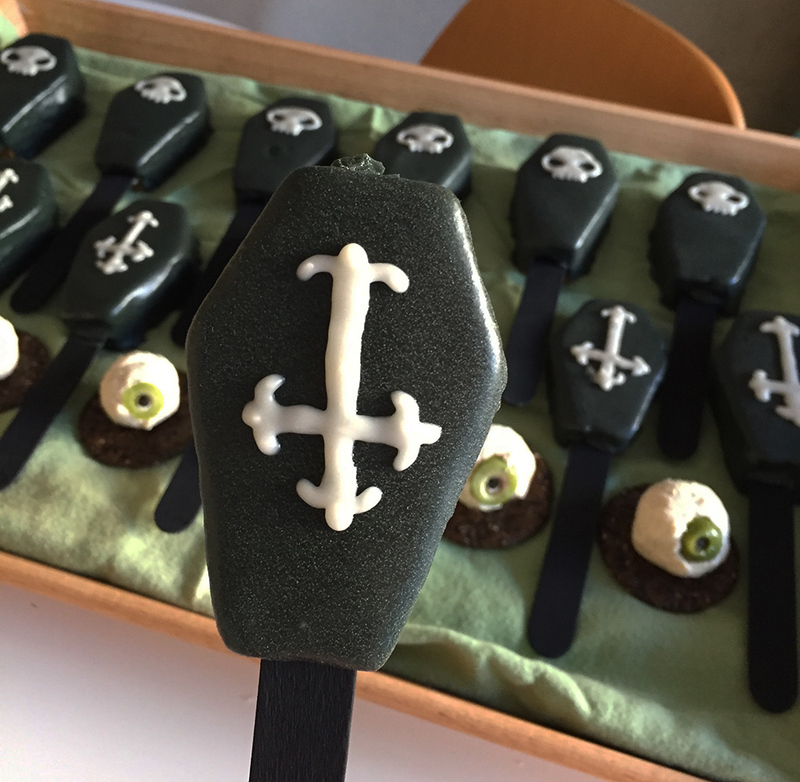 I had been feeling badly about crushing Jessica’s eyeball cakepop dreams and spending a lot of time trying to think of a way that we could still make some eyeballs. 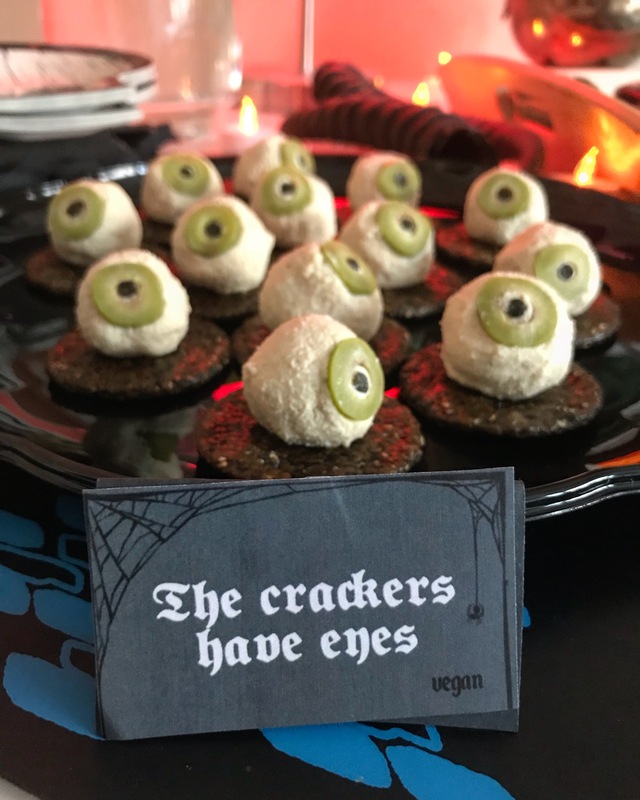 Last Halloween, we made eyeball pizzas, so we couldn’t do that again. It finally dawned upon me to make cashew cheese eyeballs. 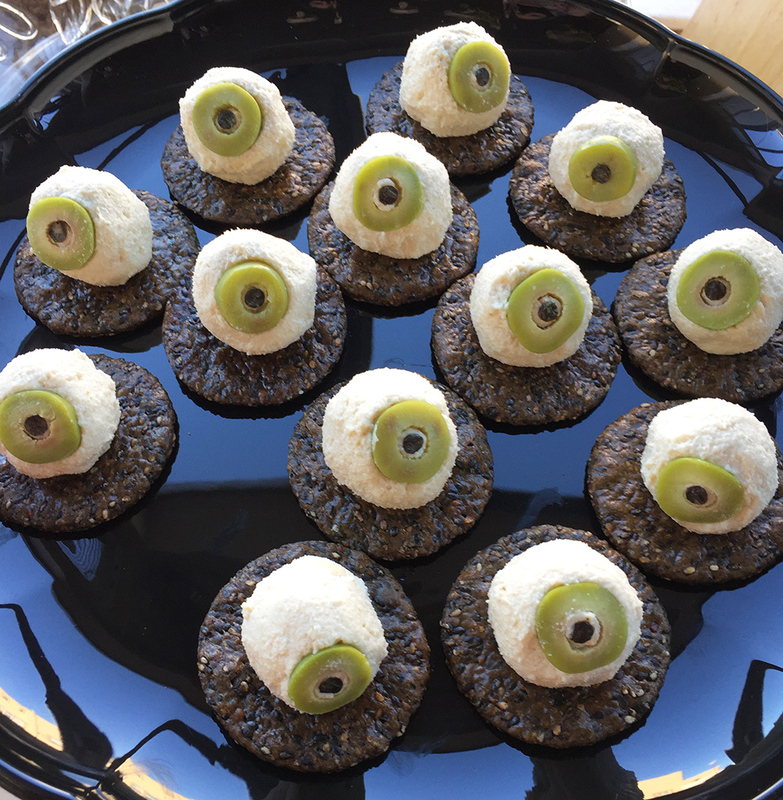 I modified this cheese recipe to exclude the pepper and herbs so that the cheese would be white, and then used a hole punch to make the pupils out of nori. Jessica sliced green olives for the iris, and we placed each eyeball on top of a black sesame rice cracker. 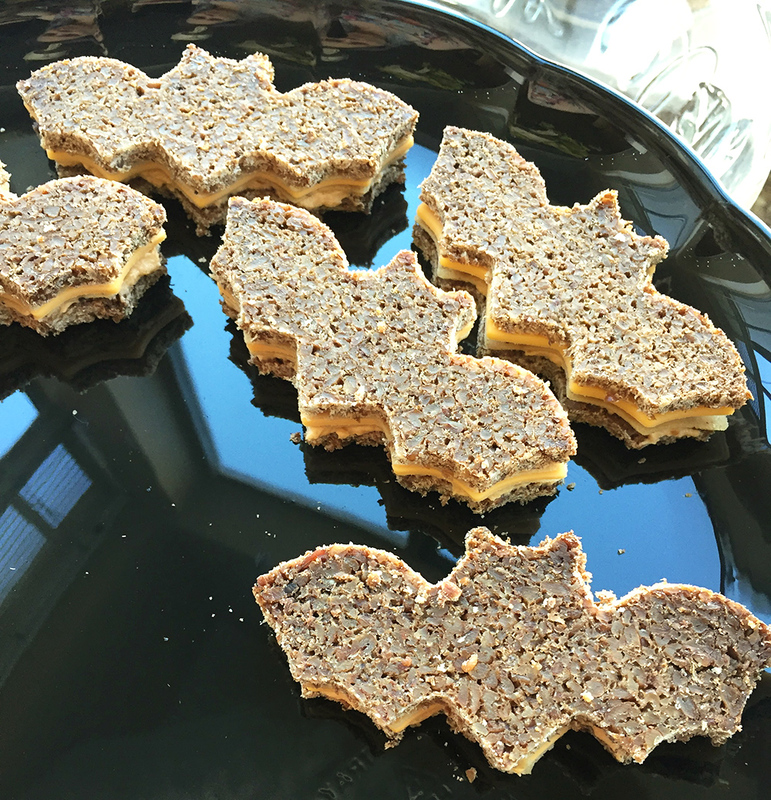 Using pumpernickel bread to make bat tea sandwiches was Michelle’s idea. It must be easy to come up with ideas that are painfully excruciating to carry out when you’re not the one trying to cut the most difficult shape out of the most difficult bread (if you can even call it bread). It’s more like seeds held together with more seeds. I will be remembering Halloween of 2017 as the day I decided I hate pumpernickel bread. They still turned out pretty decent looking considering the number of casualties there were. Between the slices of pumpernickel torture, there was red pepper hummus, follow your heart american cheese slices, and black pepper tofurkey slices. We also made moon shaped tea sandwiches using sourdough bread (thank ghouls), chao coconut herb cheese slices, kite hill cream cheese, and cucumber slices. We didn’t get a picture of these since we had to rush and finish decorating before the guests arrived. 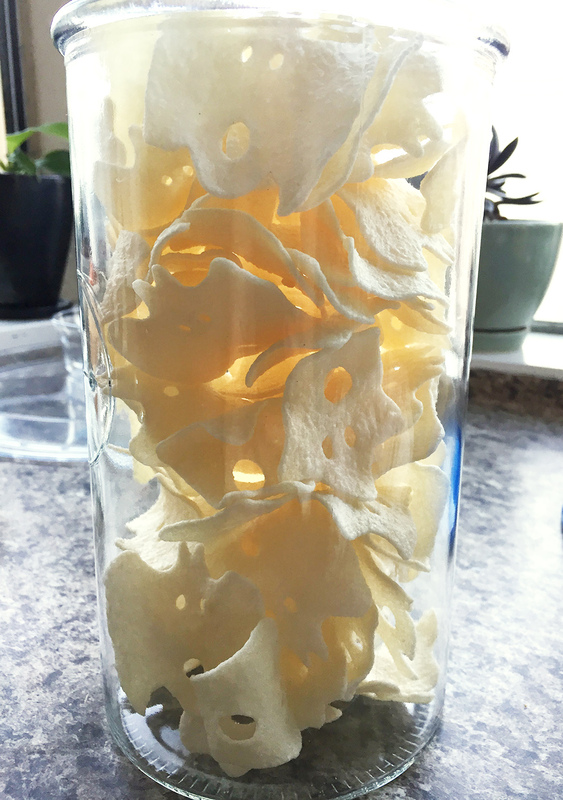 I didn’t make the boo chips of course, but it’s so nice to know that there’s a cute vegan (and gluten-free!) food you can buy. 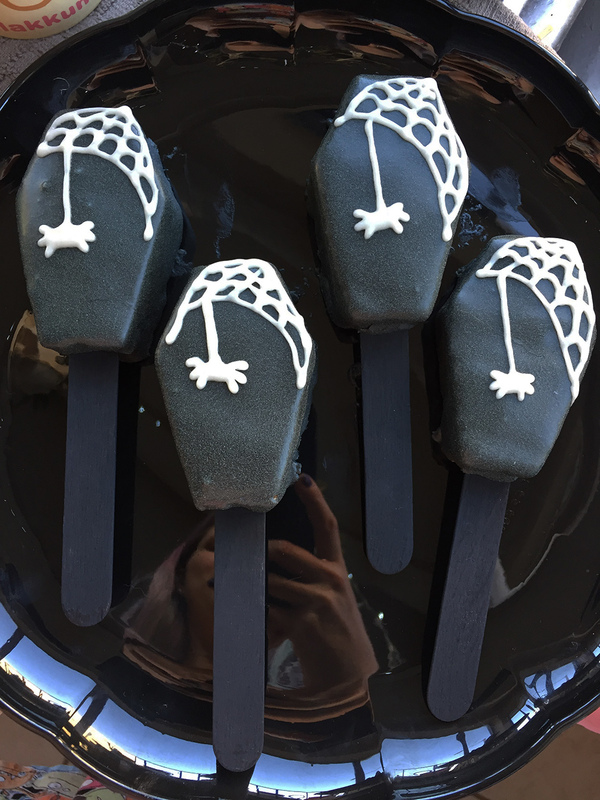 My stepmom and I did make a graveyard dip to go with the ghost-shaped chips (using black beans and black sesame seeds). 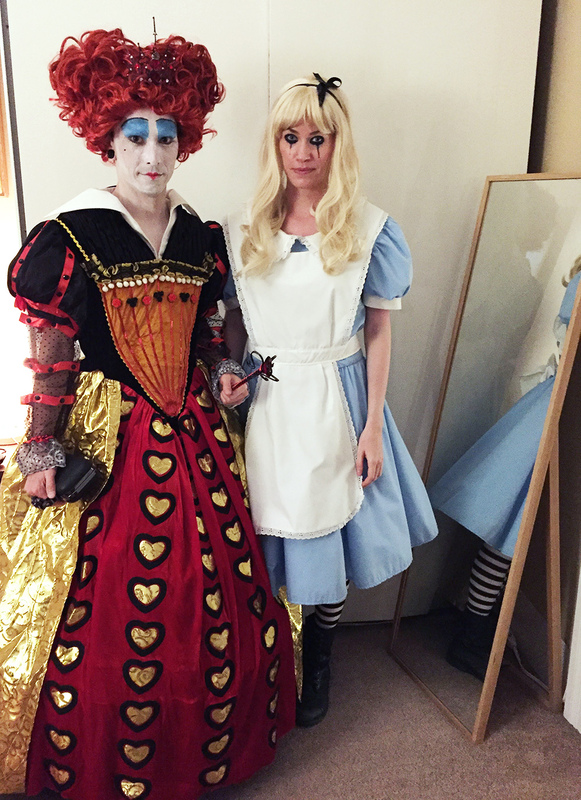 Best dressed guest award goes to Zach with his queen of hearts costume. His majesty was late to the party, because he spent 2 and a half hours getting ready.